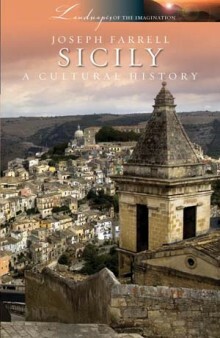 "This is among the best current books on Sicily; entertaining, informative and a good read." Long before it became an Italian offshore island, Sicily was the land in the centre of the Mediterranean where the great civilizations of Europe and Northern Africa met. In ancient times it was the scene of conflicts between Carthaginians, Greeks and Romans and there are still more, better preserved Greek temples in Sicily than in the whole of mainland Greece. An Arab invasion in 827 made Sicily home to an Islamic culture, and through Sicily the Arabs introduced to Europe a range of products from sugar to pasta. Other conquering forces included the Catalan-Aragonese, the Spanish, the French, the Austrians and even the British who invented Marsala wine. Sicily today is familiar and unfamiliar, modernized and unchanging. Visitors will find in an out-of-the-way town an Aragonese castle, will stumble across a Norman church by the side of a lesser travelled road, will see red Muslim-styles domes over a Christian shrine, will find a Baroque church of breathtaking beauty in a village, will catch a glimpse from the motorway of a solitary Greek temple on the horizon and will happen on a the celebrations of the patron saint of a run-down district of a city, and will stop and wonder. There is more to Sicily than the Godfather and the mafia.Land of Myth and Religious Feast: the myth of Persephone at the lake of Pergusa: the Holy Week processions in Enna and Erice; the festivities for St. Rosalia in Palermo, St. Agatha in Catania, St. James in Caltagirone.History in Stone: the Valley of the Temples in Agrigento; Norman cathedrals in Palermo, Monreale and CefalÃƒÂº; Saracen and Aragonese castles; Arab-Norman-Byzantine mosaics in the Palace of the Normans in Palermo,Islands and Cities: the Aeolian Islands with their volcanoes at Stromboli and Vulcano; the hauntingly beautiful cities of Taormina and CefalÃƒÂº; Mount Etna; the eighteenth-century Baroque towns of Ragusa and Noto. Joseph Farrell is Professor of Italian at the University of Strathclyde. He is author of a biography of Dario Fo and has translated several Italian playwrights in addition to various novels.